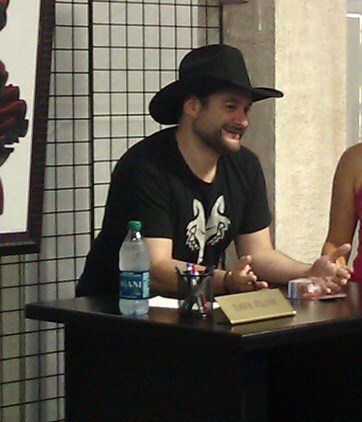 Announced less than a week in advance, a special appearance by The Clone Wars supervising director Dave Filoni made a fitting conclusion to this year’s Star Wars Weekends. He always seems to enjoy putting on a good show for the fans, and this time was no exception. The main event of the day, though, was A Conversation with Dave Filoni, held at the main Icon Stage under the Sorcerer’s Hat. 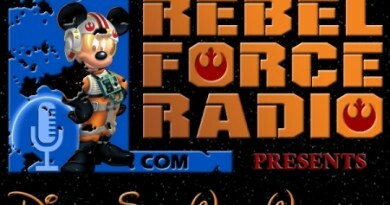 Tom Kane, who voiced the other customized Star Wars Weekends announcements throughout the park, recorded a special reminder that was broadcast in the minutes leading up to the presentation. 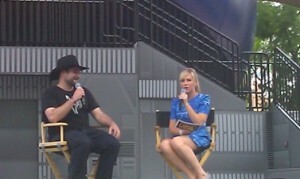 After Ashley Eckstein introduced him, Dave made an entrance worthy of Darth Vader in the Hyperspace Hoopla, emerging from the center stage blast doors to join her at the front of the stage for the sit-down conversation. In answering both the prepared questions from Ashley and the fan questions from the crowd, Dave avoided any major plot spoilers for the upcoming Season Five, but did speak in broad terms about the thematic elements we’ll see in the storylines. 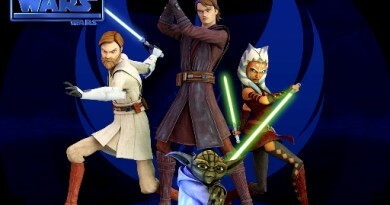 Unsurprisingly, for example, Season Five will build on the character and plot arcs from Season Four, including more character growth for Ahsoka Tano and Asajj Ventress, another tough year for Obi-Wan Kenobi, and Sith machinations from the brotherly duo Darth Maul and Savage Opress. 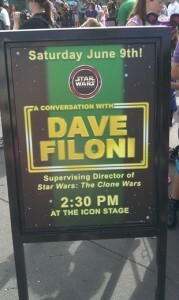 Dave also explained that the Onderon episodes – seen briefly in the Season Five trailer premiered at Star Wars Weekends, as well as mentioned in the latest Star Wars Insider magazine – will feature similar themes to the Original Trilogy, with a small cell of resistance fighters trying to liberate the planet, a deliberate parallel to the motives, tactics, and struggles of the later Rebel Alliance. The first fan question asked when we’ll see Ben Quadrinaros in The Clone Wars – a long-running gag between Dave and Fanboys director Kyle Newman, facilitated by the ForceCast and Twitter, among others. The question drew a big laugh from Dave, and he responded by saying he might consider it as a ratings stunt to get five more people to watch the show. Good times. When commenting on another rough season for Obi-Wan, Dave reminded everyone that Kenobi appears in Episode IV, so he’ll make it through the show. 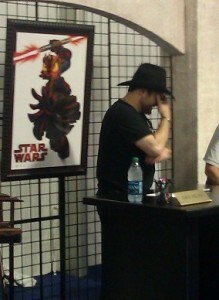 On the other hand, he later ominously remarked that Duchess Satine is not seen in Kenobi’s later life. Dave considered having an imprisoned Ewok be among the captured animals in the Zygerrian slaver’s cages in the Season Four arc, but couldn’t bring himself to do it. Dave chuckled at the irony that ARC trooper Fives had a bigger story arc in Season Four than he will in Season Five, but Dave assured that the clone’s future is exciting. 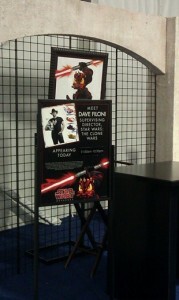 There are currently no plans for any The Clone Wars theatrical releases, but Dave appreciates the fan interest. The team is very proud that they deliver theatrical quality stories on television. Embo’s canine companion Marrok is named for a knight from the Arthurian legends. 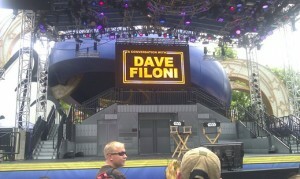 Dave promised “ten times more clips” at Celebration VI, and maybe even the premiere of a full episode. If his conversation on Saturday was any indication, we’re in for a treat. B.J. 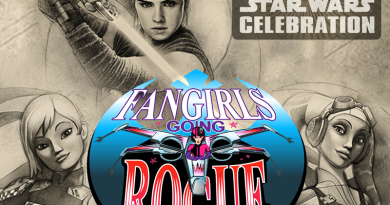 Priester is editor of FANgirl Blog and contributes reviews and posts on a range of topics. 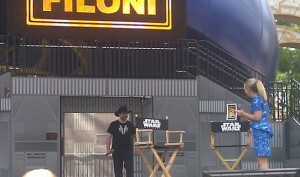 A longtime Star Wars fandom collaborator with Tricia, he is also editing her upcoming novel Wynde. He is a law professor in Florida and a proud geek dad.